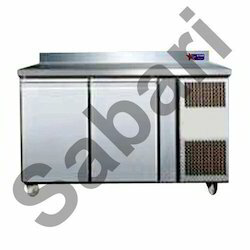 We are engaged in offering a comprehensive range of Deep Freezers and Water Cooler. It provides completely pure water for drinking and offers faster cooling. Our range of Deep Freezers is at par with international quality standards and finds application in Hospitals, Hotels, Restaurants And Community Houses. Available in numerous capacities, this equipment is also integrated with quality compressors. We are looking for queries for Steel Kitchen Equipment And Accessories from Tamil Nadu, Kerala, Karnataka & Andhra Pradesh.